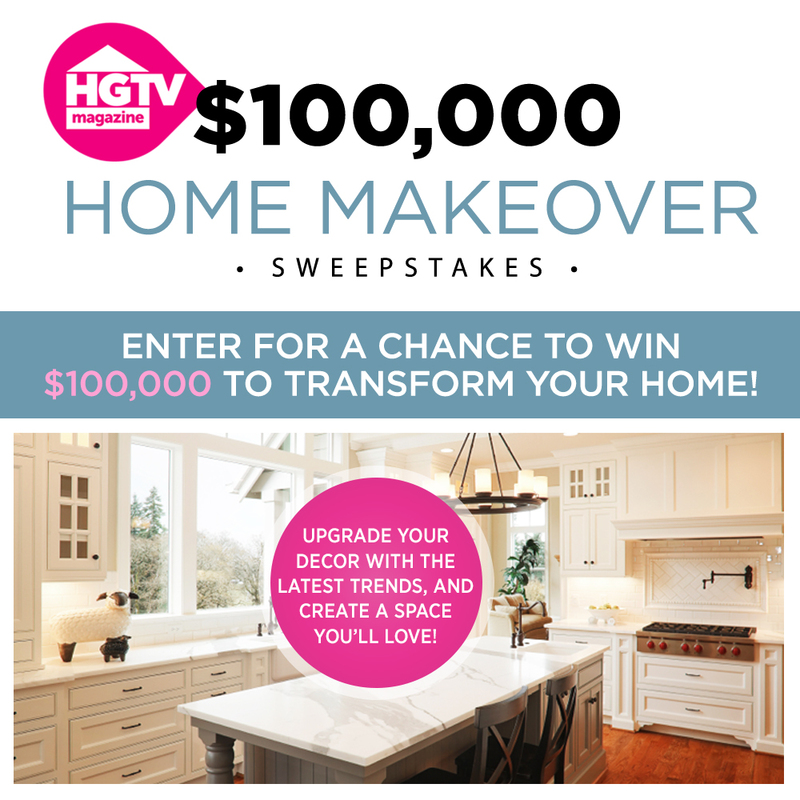 Yes, enter me in the sweepstakes and send me 1 FREE issue of HGTV Magazine plus enroll me in the Continuous Service Program*. If I like what I see, I'll get 1 year (for a total of 11 issues) for just $19.99 that's 64% less than others pay on the newsstand. If not, I'll return the bill marked "cancel" and keep the first issue with no obligation. I'll still be eligible to win the sweepstakes.